Generating bar codes can help you in tracking inventory items as well as giving you the ease to scan multiple items at counter or while adding inventory. You can generate bar codes for an item in RepairDesk. 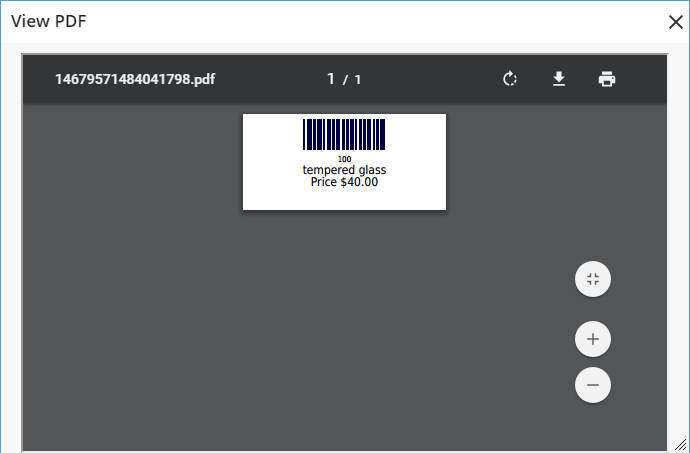 In this article we will show you how to generate and print bar codes for tangible inventory items. To know about serialized inventory and how to generate its bar codes, click here. 2. Open an item by clicking on its Item ID or click on the Action button and select Edit. 3. Under the product info tab, select the checkbox name Create Bar Code. As soon as you click on it, a bar code will generate for the item. 4. To print this bar code, click on Print Bar Code. A PDF view of the bar code will appear. You can either download it on your computer or send it directly to the printer. 5. Make sure to click on Save Item after making any changes. Q. Is there any way to change the design for inventory label?